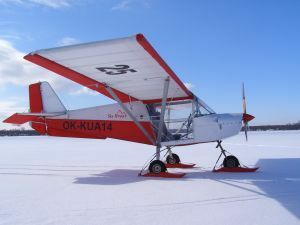 Kompol is engaged in almost everything that has anything to do with flexwing trikes, that is: designing, building, maintenance, especially Jazz trike with Stratus wing, and also full ground- and flighttraining, skytours, advertising flights and others. 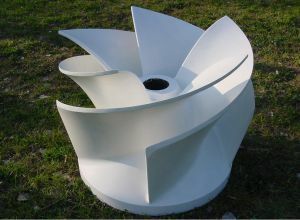 Kompol is also engaged in manufacturing articles made of light composite materials: Glass-fiber reinforced plastic (GFRP, GRP), Carbon-fiber reinforced plastic (CFRP) and Aramid-fiber reinforced Plastic (AFRP). We'll take it from the very beginning: building the model, cast, till the final product. We also retail SkyRanger ultralight aircraft; in kits as well as ready to fly planes. 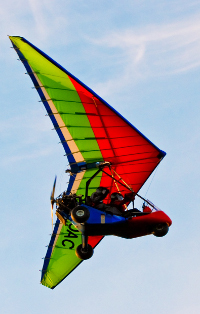 Jazz flexwing trike with Stratus wing is a step forward from the previous models: Blues and Blues PLUS. Experience collected from the late '80s until now during training flights, competitions and flying in difficult weather and terrain conditions resulted in a model of very good aerodynamic and steering characteristics and at the same time durable, light and reliable. Results of international competitions are the best proof. Six out of eight titles won by Poles in Europe and World Championships were earned in Jazz trikes with Stratus wings. One more was won using Jazz undercarriage alone. Additionally, 14 Champion of Poland titles (in both single- and twin-seated trikes) went to owners of Jazz or one of the previous models. Jazz trikes easily endure all not_so_gentle landings performed by beginner pilots and have a good reputation among Polish and foreign pilots.